According to the Centers for Disease Control and Prevention, nearly 800,000 Americans experience a stroke every year. People who are at risk for the event often have conditions such as high cholesterol, heart disease and diabetes. As a personal injury lawyer Chicago knows, experiencing a brain injury may also increase the likelihood of having a stroke. Several studies have supported that notion, which offers some hope in the form of preventative measures for at-risk patients in Illinois and across the country. A study published two years earlier in the Journal of the American Health Association found that the risk of stroke increased tenfold within three months following a TBI. As a personal injury lawyer in Chicago may have seen, the report found that people who have experienced a TBI should be monitored heavily during the first few months following the event. Experts report that if additional work further suggests that TBI is a risk factor for a stroke, the medical industry may be better equipped to prevent the event. 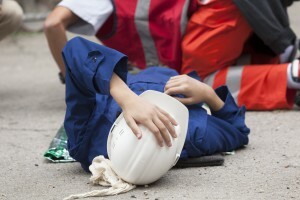 Traumatic brain injuries claim the lives of more than 50,000 people a year, according to the CDC. A slip-and-fall accident is the leading cause of TBI, along with unintentional blunt trauma, motor vehicle accidents and assaults. Once people who have experienced a brain injury understand they are at risk of having a stroke, they can begin addressing other conditions or habits that are known triggers. Currently, the National Stroke Association recommends that people should improve their diets, exercise regularly and quit smoking. Additionally, any medical risk factors, such as circulatory problems or high blood pressure, should be brought under control through working with a physician. While not every brain injury or stroke may be preventable, there are ways to reduce risks and hold negligent parties accountable. Anyone who has questions regarding this topic should consult with a personal injury lawyer in Chicago.